It is with great regret that we learned of the death on March 12, 2018 of a true advocate for crime victims and survivors. For most of her professional career, Joye Frost served crime victims through her efforts at the U.S. Department of Justice’s Office for Victims of Crime (OVC), our nation’s premiere agency dedicated to serving and advocating on behalf of victims of all types of crimes. Joye Frost began her career as a Child Protective Services caseworker in South Texas and has worked in the victim assistance, healthcare, and disability advocacy fields for more than 30 years in the U.S. and Europe, including several years working at the community and headquarters levels for the Department of Army. In January 2009, Joye was designated Acting Director of OVC and made the permanent Director in 2013. She was a strong and consistent advocate for the Crime Victims Fund, and developed a very close working relationship with state VOCA assistance and crime victim compensation program managers. Perhaps her most profound and long-lasting legacy will be her inspiration and leadership encompassed by her landmark achievement: the development and implementation of Vision 21: Transforming Victim Services. Joye’s nationwide initiative successfully sought to expand the reach and impact of the victim assistance field; recognize the role of victims in the nation’s response to crime and delinquency; identify emerging and enduring challenges in the victims’ field; and address the need to build the capacity of victim service providers to meet those challenges. Today and in the future, Vision 21 remains the ‘‘blueprint’’ for comprehensive, quality victim/survivor services nationwide. She began her working on special projects at OVC in 1997 and, since 2001, directed OVC’s annual observance of National Crime Victims’ Rights Week, including its National Service Awards and the NCVRW Community Awareness Projects. 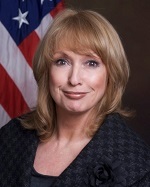 As the Principal Associate Director for OVC, she developed national scope training, technical assistance and other resources to help crime victims, including the development of the Sexual Assault Nurse Examiner (SANE) and Sexual Assault Response Team (SART) training and technical assistance project, as well as projects to help crime victims with disabilities. She also implemented grant programs to support comprehensive services for victims of human trafficking. The U.S. Congressional Victims’ Rights Caucus, founded by Representative JIM COSTA (CA) and me, recognizes that with Joye Frost’s passing, crime victims have lost a strong and outspoken advocate. We have worked closely with Joye to improve the lives of victims for many years, and know that her positive and profound impact on the profession of crime victim/survivor services will endure far into the future.